More from our latest issue including Lacan on Love. Most interpretations of seminal works run the risk of being too tightly wound around the original text. Students of psychology are often left wondering whether or not they were reading an interpretation that will enhance their education or stifle it. In Bruce Fink’s Lacan on Love: An Exploration of Lacan’s Seminar VIII, Transference, readers are invited to closely investigate Lacan’s writings on psychology alongside the author. Fink takes the time to address influences that shaped Lacan’s thinking, such as Freud, most of Greek mythology and early philosophy. His book lacks the awkwardness of being too rigid for general interest because he counterbalances all of Lacan’s observations about love with some ideas of his own. Fink is not in the business of telling you how to agree or disagree with a major figure in critical theory. Instead, he offers us the possibility of taking Lacan’s ideas about attachment and improving them. Fink provides us the framework for how to understand complex dialectical thinking when he writes: ‘Let me try to take this problem a bit further than Lacan himself takes it by raising a question.’ In other words, Fink’s book is not an instruction manual that closes arguments. He is invested in keeping problems open-ended without being longwinded during the dialogue. Nevertheless, it can feel that he is tinkering around a work of art that most us only take the time to notice in passing at the library or in the archives. It is really up to the reader to actually read Lacan’s Seminar VIII or they will gloss over the details that could shape and improve their own thinking. Fink’s book is an excellent text on meta-critical processes. He writes: ‘This should tell us something about Lacan’s approach to reading texts, whether psychoanalytic, literary, or philosophical, which he exemplifies in a great many of his seminars.’ He is not just asking readers to break down Lacan’s thoughts about thoughts but also to consider whether they have done this much introspection on their own without going over the edge. Steve Hayes’s area of expertise (the operant behavioural analysis of verbal language) has placed him outside the dominant cognitive paradigm, and even outside the already niche world of behaviourism. But from this position of relative outsider, Hayes and his collaborators have (through truly prodigious levels of publication) developed a psychological intervention (acceptance and commitment therapy: ACT); the empirically supported theory of verbal language that underpins it (relational frame theory); the philosophy of science that underpins both (functional contextualism); and ultimately the field of study that encompasses these and other fellow ‘Third Wave’ travellers (and yes, you can even thank Hayes for coining the phrase ‘Third Wave’: contextual behavioural science. This book presents a career-spanning compilation of seminal papers, edited only to reduce repetition, and with new chapter introductions that explain the importance of each paper. In this volume, Hayes has cast a curator’s eye over his hundreds of published papers and selected those that encapsulate for him the arc and reach of a life’s work. The papers span from 1982 to 2012, and interestingly Hayes chose not to present the papers chronologically, instead he has compiled them into three thematic sections: Origins and Assumptions, Principles and Strategies, and Clinical Methods and Developmental Vision. Within these sections, papers separated by years and even decades are situated alongside each other, showing how ideas developed across time. Like a band choosing their ‘Best of’ selections, some of these papers were no-brainers (e.g. the lighters-in-the-air ‘Making sense of spirituality’, 1984), whereas others were more surprising. Inevitably, some papers were surprisingly absent (leaving out his tour-de-force 1987 chapter ‘A contextual approach to therapeutic change’ feels to me like Led Zeppelin passing over ‘Stairway to Heaven’ for an obscure album track). Such editorial decisions are impossible to remove from their context (essentially the message of the whole volume), and in context, this is as much academic autobiography as it is an edited volume of otherwise available papers. It is valuable for Hayes’s take on his work and will be of interest to those who are interested in ACT and wish to learn more about its development. A book with no words… now there’s a thought.I am reviewing three colourful books for children using sequential pictures to tell a story about moods, feelings, emotions and events, for infants, pre-readers, beginner readers and those for whom English is an additional language – but books without words. I wondered about writing this review with pictures only, and how hard that would be. The main character in each book is a little calf who inevitably experiences changing moods. The vivid pictures are meant to be used by an adult to tell a story to help children describe their own and others’ moods, to develop storytelling skills, whilst improving vocabulary and recognition skills. I think that anything which encourages children to discuss feelings, reactions and events is a really good thing, subject of course to such conversations being carried out with sensitivity, care and with adults who are able to facilitate what I have termed elsewhere as a genuine ‘listening ethos’. Adults might need more help to encourage the child to express his or her views, allowing space, openness and neutrality, than the 10 tips provided. These booklets are more likely to be used by teaching assistants, support staff, and others helping in the classroom, as well as parents, than psychologists, but they could be used by therapists, specialist teachers and others who carry out social-emotional interventions or language training with children. The pictures are big, bold, colourful and attractive, and I think would engage children. And one has to give credit for creativity in producing a book with no words at all. There is much truth in the saying ‘A picture paints a thousand words’. The notion of ‘culture’ – one’s own or others’, of a nation, organisation, social or demographic group – has a pervasive yet sometimes complex influence over human affairs. 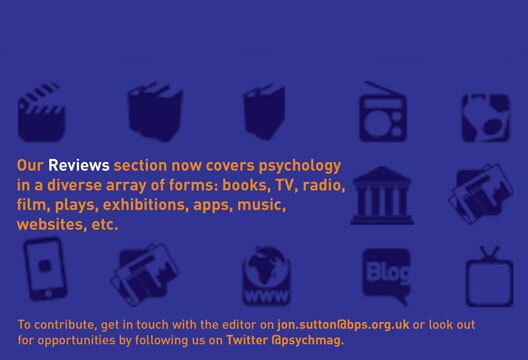 As such, it is likely to be of interest to researchers in psychology or related subjects. Chirkov’s text aims to provide those at postgraduate or advanced undergraduate level with guidance on conducting studies on cultural issues. In the first part of the book, Chirkov sets the scene by introducing ideas from across the social sciences that might inform the psychological study of culture; in particular, the various strands of anthropology. This is followed by a discussion of philosophical perspectives on the conceptualisation and investigation of cultural issues. These first few chapters are enlightening but very detailed, so will require some effort on the part of an uninitiated reader. Having created an epistemological backdrop to cultural research, Chirkov then turns to the matter of formulating and executing specific studies in subsequent parts of the book. Those readers who are seeking inspiration for their research but find the first part hard-going may wish to instead try starting at Part II, where Chirkov discusses how to formulate a research question and a suitable methodology for addressing the question. If only Chapter 5 in particular (‘Research problem, purposes and research questions’) had been available when I was trying to work out what I was doing as a postgraduate student… Part III turns to the practicalities of executing a research study, with chapters on qualitative and quantitative designs. I found Chirkov’s text to be a comprehensive treatment of the philosophical and methodological issues that an aspiring researcher should consider (albeit complementing rather than replacing other texts that describe specific methods for collecting and analysing data). While its emphasis is on the study of culture, those interested in other social psychological topics may well find the content useful. The book Hands: What We Do with Them – and Why is very much self-explanatory; Darian Leader explores some peculiarities of our busy appendages through the lens of psychoanalytic theory, arguing that the history of civilisation has somewhat been driven by hands. As an author of a wide range of psychology books, and founding member of the Centre for Freudian Analysis and Research, Leader explores the subject matter with an elegant style, alluring to academics and casual readers alike. Owing to how short and concise it is, this is a perfect book to read on those easy weekend days, perhaps over the course of a short holiday. Hands are important throughout child development, adolescence and adult maturity. Leader overviews a plethora of subjects, making Hands a particularly stimulating book for reflective thinkers. For instance, latent symbolism of hands is apparent throughout film, history and religion, with implications in the realms of attachment, body language, and social interactions. The consideration of these subjects using everyday experiences, case studies and popular films (such as Brave, Frozen, Aladdin, etc.) offers the reader a chance to absorb the postulations made in this book. Hands has discussions that will appeal to a large demographic. For example, the discussion of how our hands seem to need to be kept busy provides great insight into the popularity of fans, cigars and phones. In particular, this gives those who are not familiar with psychoanalytic theories more of an opportunity to conceptualise ideas about the latent representations, symbols of and behaviours and motivations of one’s hands (as well as an excuse to re-watch with fresh insight perspective). All of this, without being too overbearing. Hands: What We Do with Them – and Why is sparse in the use of psychological literature, Leader makes use of a wealth of texts drawing on culture, art, history, technology trends and child development. It is a short, concise and exploratory postulation about psychological and social functions of hand behaviours. I would strongly recommended this book to those who enjoy such conjectures, particularly those interested in contemporary psychoanalytic theory.